Abby Wilkerson has 8 years of experience working in the fitness industry and joined the Wellness Center in January 2018 when she moved here from Leland, NC. 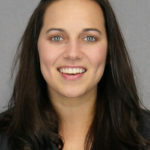 She attended East Carolina University where she received her Master of Science degree in Kinesiology with a concentration in Sport and Exercise Psychology. She taught Kinesiology at ECU and was a CrossFit gym owner before moving to the Boone area. Abby enjoys helping people reach their fitness goals and educating people on how to lead a healthy lifestyle. She specializes in weight training, Olympic weightlifting, and cardiovascular conditioning. In her spare time Abby enjoys hiking, snowboarding, and weightlifting. Dustin Oliver is a recent graduate of Appalachian State University with a BS in Exercise Science. Before attending Appalachian State University, he played college football for North Carolina Wesleyan. 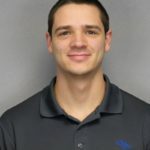 His fitness experience includes working for the Wellness Center, Dynamic Fitness and Performance, Deer Valley Racquet Club, as well as working with the North Carolina Wesleyan football strength and condition staff. Dustin is currently preparing for the Certified Strength and Conditioning Specialist (CSCS) exam. Greg Cox is the Fitness Supervisor and a certified strength and conditioning specialist and CrossFit Level 1 coach. 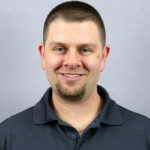 He has a bachelor’s degree in exercise science from East Carolina University and a master’s degree in Exercise Science from Appalachian State University. He also holds certifications in Olympic weightlifting, mobility and Spin. He has worked as a fitness professional in a variety of settings for over 19 years, including 18 years at The Wellness Center. In his free time Greg enjoys weight lifting, running, biking and CrossFit. 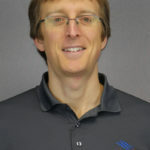 Greg enjoys working with individuals one-on-one and coaching CrossFit classes. He specializes in strength and conditioning, fat loss and cardiovascular conditioning. Horton Doughton has a passion for exercise and loves to help people grow stronger. 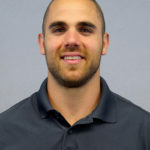 He graduated from Furman University in 2011 with a degree in Asian studies, and his Japanese language abilities helped him gain the academic focus he needed to become a Personal Trainer as well as an NSCA Certified Strength and Conditioning Specialist in 2013. 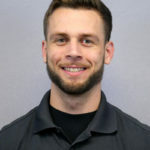 Horton worked as a Personal Trainer at Body by Design Studios in Raleigh, NC, for three years before deciding to take his education to the next level and pursue a Master’s Degree in Exercise Science at Appalachian State University. In his free time Horton enjoys hiking, writing, playing tabletop games, and translating Japanese media. Keaton Allen is a graduate from Appalachian State University with a Bachelor’s degree in Exercise Science. His experience includes working with younger athletes all the way up to helping the older population with overall health and flexibility. Keaton enjoys working with such a diverse population here at the Wellness Center as he encourages them to achieve their goals they once thought were unattainable. During his free time, Keaton enjoys going hiking, weight lifting and staying active. He is currently preparing for the Certified Strength and Conditioning Specialist (CSCS) exam. Michael Darling has 14 years of experience working in the fitness industry. Currently, he is serving as a Fitness Instructor at Appalachian Regional Healthcare System’s Wellness Center in Boone, NC. There, he enjoys instructing a diverse population in reaching their fitness goals. 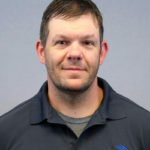 His qualifications include a Bachelor of Science in Exercise Science with a concentration in Strength and Conditioning from Appalachian State University, a Master’s Degree in Health Studies from the University of Alabama, as well as being certified by the National Strength and Conditioning Association as a Certified Strength and Conditioning Specialist (CSCS) and NSCA Certified Personal Trainer (NSCA-CPT). He also supervises student teachers as they educate college students in a weight training practicum course at Appalachian State University. Tiffany Norman is a graduate from Greensboro College with a Bachelor’s Degree in Exercise Science. 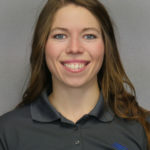 She holds certifications in American College of Sports Medicine – Certified Personal Training (ACSM-CPT), Spin and received her certificate as Crossfit Level 1 Coach. She has been working in the fitness industry since 2006 and joined the Wellness Center in 2009. Her experience includes working with high school and collegiate athletes, specifically volleyball, Thrive program, specifically cancer wellness and cardiovascular health and elderly population. One of her greatest achievements is being part of getting the Thrive Cancer cohort started and seeing the success of that program and their survivors. When she’s not training or coaching, Tiffany enjoys spending time with her husband and three kids, weightlifting, sewing and crafting.